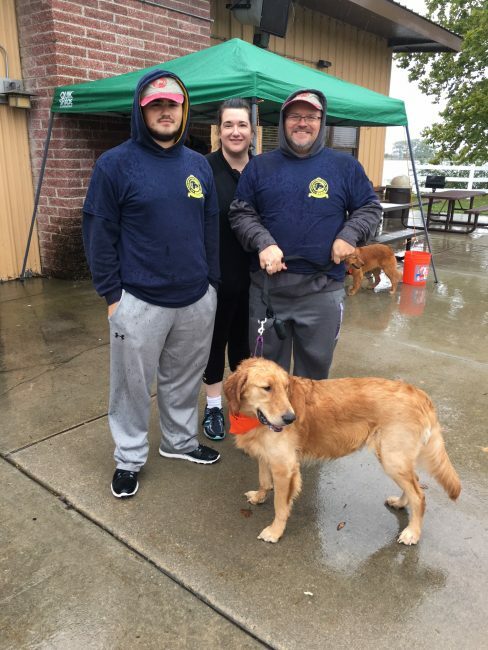 THANK YOU to everyone who braved the rain on Sunday to attend Gold Rush! 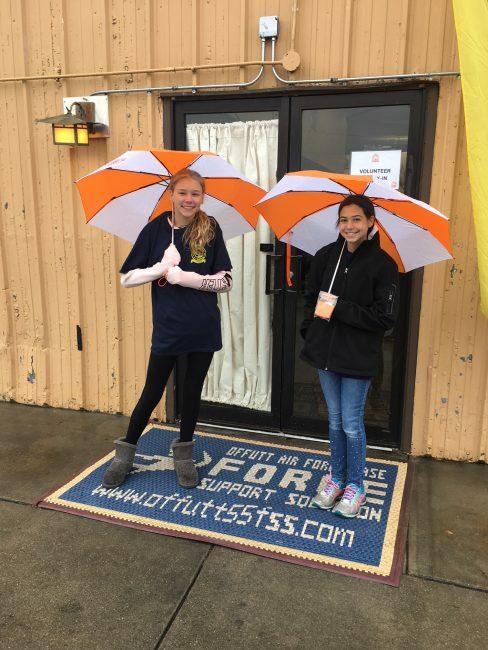 We always say the event goes on “rain or shine” but we had to put those words into practice by moving most of the activities indoors. 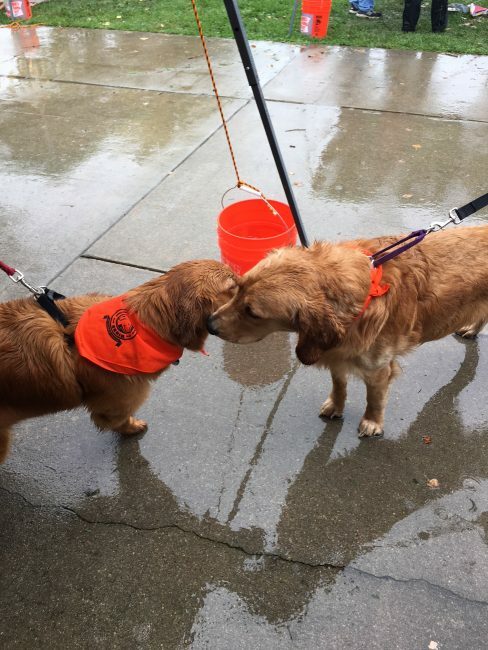 Dogs weren’t allowed in the clubhouse so we set up “pup” tents to keep the dogs and their handlers out of the rain. Even more thanks to ALL the GRRIN volunteers and students from La Vista Middle School! And let’s not forget the dogs and their people! 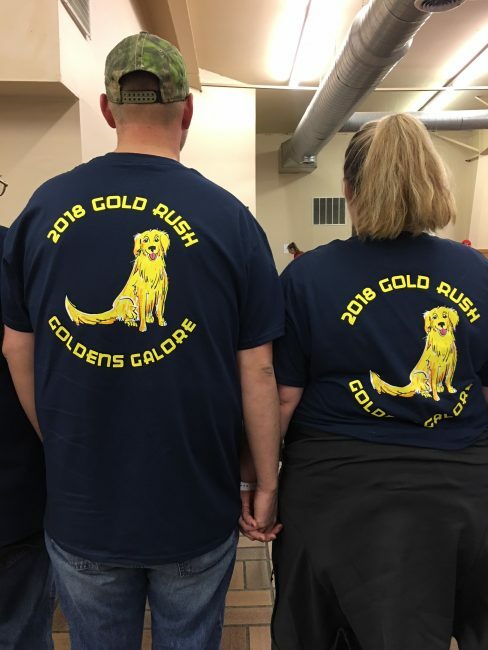 Follow everything that’s happening today at Gold Rush on our Facebook event page! 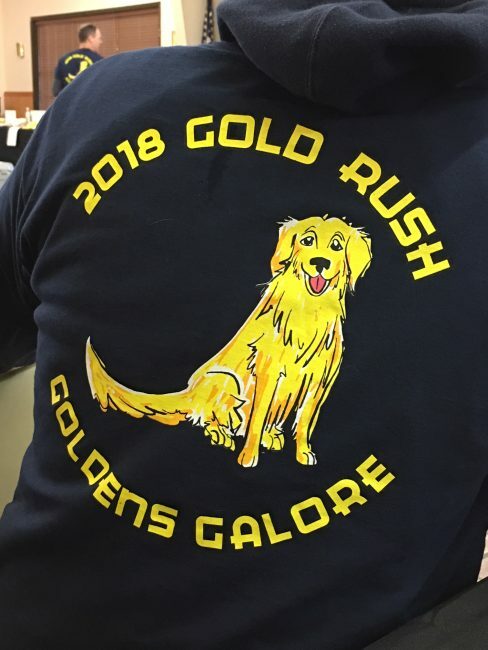 We’ll have “Goldens Galore” at our annual Gold Rush reunion! Pin the Tail on the Cat – Get your dog to sit on the bull’s eye on the cat’s fanny and you win a prize. Shell Game – A treat is placed under one of 3 flower pots. The pots shift positions. Can your dog follow the action with his or her sense of smell? Success means the dog gets the treat. Spin and Win – You don’t need skill or even a dog for this game. Spin the wheel to find out which prize you win. Plinko – Drop the disk and watch it travel into one of the prize slots. Cake Walk – An old favorite. This version includes our dogs. Winners claim their cake (or other baked goodie) in the building. Biscuit Count – Located at the GRRIN Info Booth. Guess the number of biscuits in the jar. The winner will be the guess that is closest to the actual number of dog biscuits. Yes, we did count them. Winner will be announced at 3:00 p.m.
Photo Booth – This “frame” is just waiting for your dog to have a photograph taken. You can also join your dog in the picture. 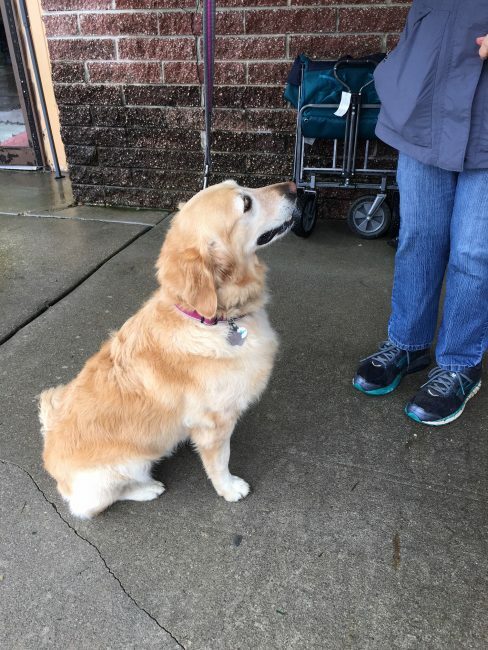 Garden Stone Raffle – Purchase your tickets for one of three beautiful golden retriever garden stones. Drawings will be held at 12:45, 2:15, and 3:15. Caricaturist – Kirk Kuenzl joins us again this year. Have a caricature made of your dog for a suggested donation of $10 per dog. Dog caricatures only, please. 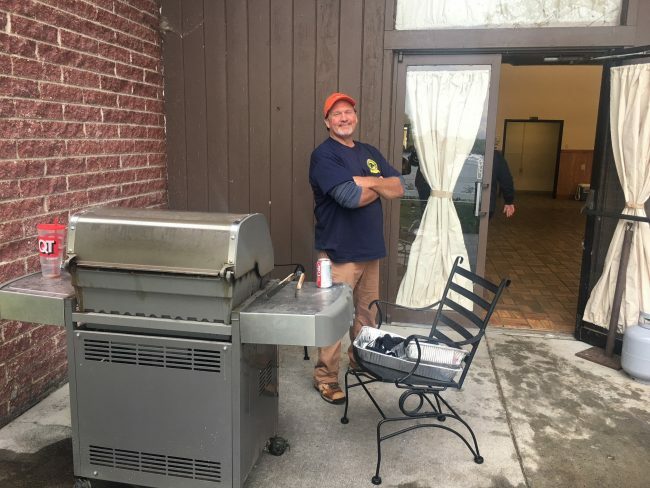 Food – Help yourself to hot dogs, chips, and a beverage until 3:30. Donations gratefully accepted. Enjoy. 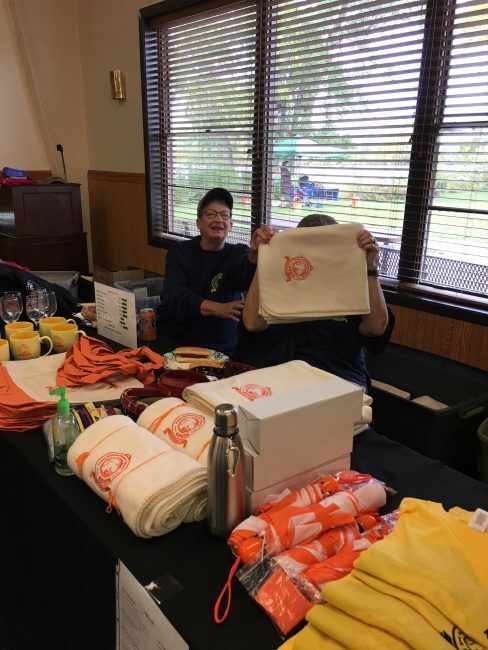 GRRIN Store – Take this opportunity to purchase GRRIN logo merchandise and help support the rescue efforts. Sweatshirt anyone? 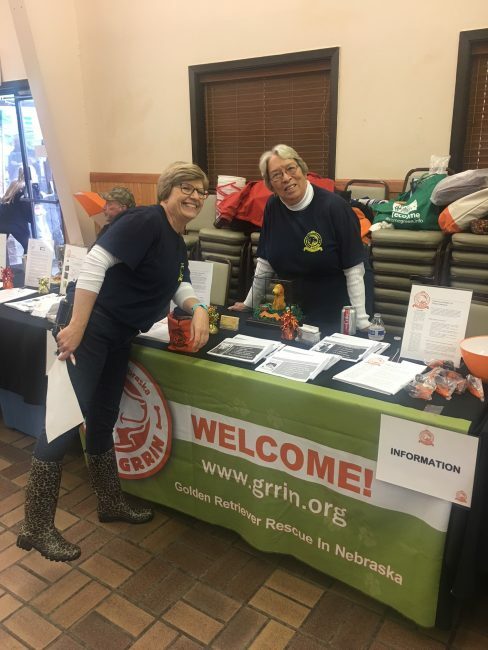 GRRIN Information Booth – Learn more about the many rescue activities and volunteer opportunities of GRRIN. Or just stop by and introduce your dog. Be sure to enter the Biscuit Count while you are visiting. 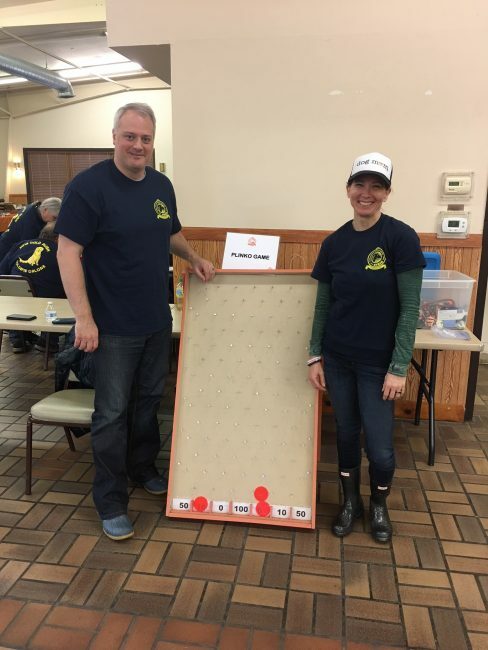 Bean Bag Toss – Toss a bean bag through one of the holes in the cut-out board and win a prize for your dog. Bobbing for Tennis Balls – Will your dog grab a tennis ball from a tub of water? If so, the dog gets to keep the ball. 12:00 Welcome from MC/GRRIN President Kathy Glenn. 12:45 First drawing for garden stone. 1:00 Line up for and start costume contest and judging. 1:30 Parade of current GRRIN Foster Dogs. 2:15 Second drawing for garden stone. 2:30 Line up and start Parade of GRRIN Alumni Dogs. 3:00 Announce winner of Biscuit Count Game. 3:15 Third drawing for garden stone. 3:45 Announce winner of Southwest Airline tickets silent auction. Thanks for attending Gold Rush. 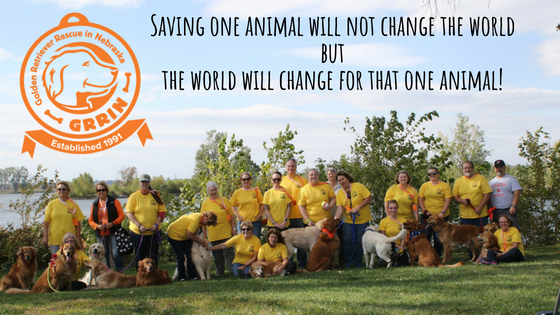 GRRIN is an all-volunteer organization – we couldn’t rescue Golden Retrievers without dedicated volunteers! People often ask about the different tasks that occur in rescue. 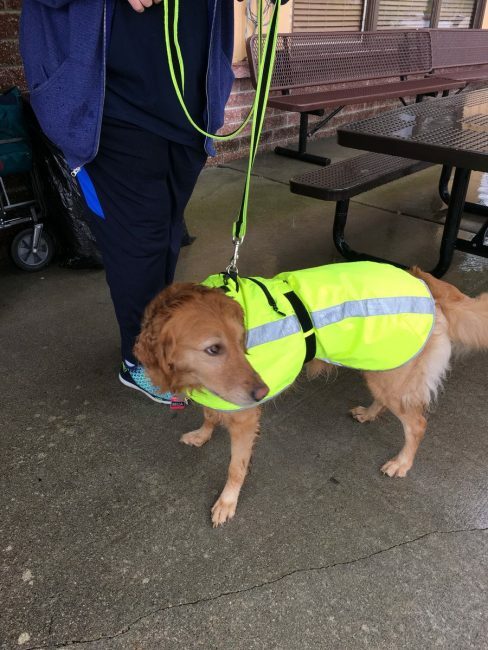 Now you can follow volunteer Aaron Barnes on a transport mission to pick up GRRIN dog Charlie, just click here to watch the video. 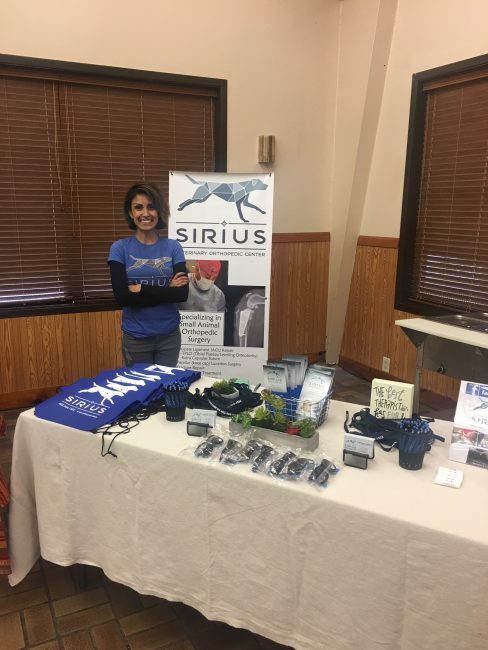 Thanks for coming out to support Lincoln Animal Ambassadors at Deer Springs Winery! Check out pictures on their Facebook page. Wine & Howl brings together all the best parts of summer for a fantastic afternoon event! Bring your dog, a blanket or lawn chair and join us on June 2nd for an afternoon of dogs, food, wine and music. 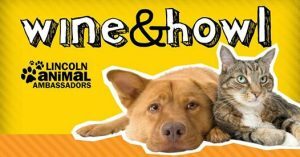 If you are looking for a new companion, many of the area’s rescue organizations will be bringing pets looking for their forever homes. You won’t want to miss the raffle prizes, featuring pet, wine, and decor gift baskets from all around the area. With just a suggested donation of $8 to attend; there are just too many reasons you have got to be there! The wine will start pouring at 11AM and the bands will play until 5PM. Visit our calendar page for a map to this event. Thank you GRRIN supporters for your outstanding participation in Omaha Gives! 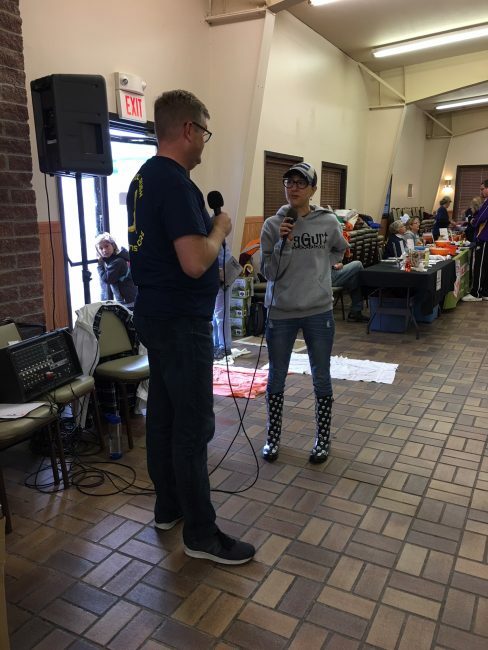 We raised $6695 with the help of many generous donors. Your donations will help us cover medical care needed for GRRIN foster dogs. In 2017 the majority of our funds covered veterinary expenses – over $500 for each of the 28 dogs we rescued. 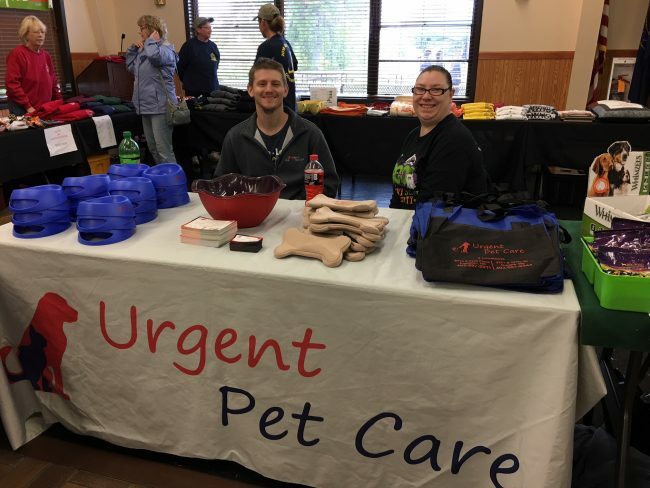 Extreme vet care included treating severe dental disease, allergies and ear infections, thyroid imbalance, lump and bump removal, and palliative care. Something as simple as a dental cleaning will cost approximately $500, and even more if teeth need to be extracted. Eight of our foster dogs were eight years of age and older, classified as seniors. 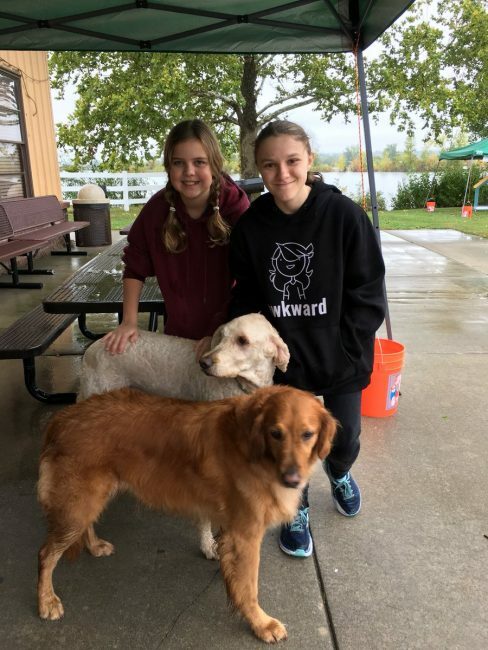 We are extremely grateful to have the resources to care for these Golden oldies with loving foster homes and the ability to pay for all of their medical expenses so they can live comfortably in their later years. During the 24 hours of giving, Omaha Gives raised $7.3 million for the community and over 960 participating non-profits. 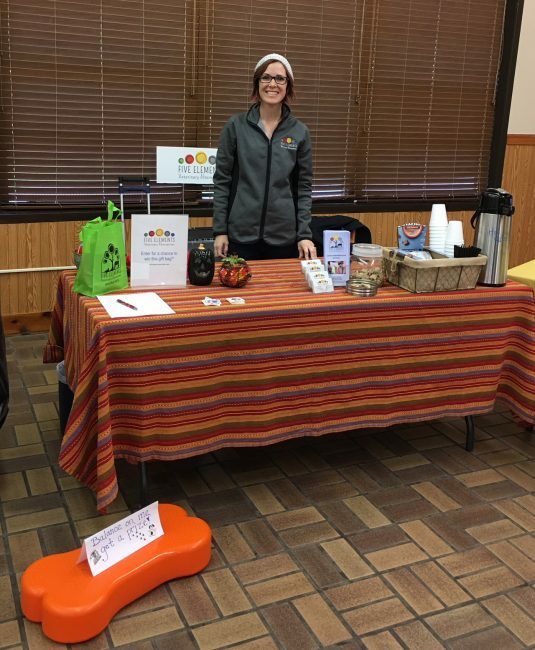 The Omaha Community Foundation has brought this outstanding opportunity to the metro for six years and we are so excited to be a part of it! 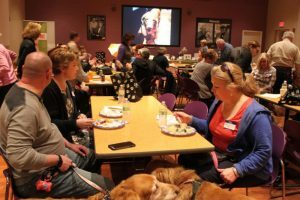 Thanks also to the humans and canines who enjoyed the gorgeous – but warm – evening and came out to Pizza West to celebrate Omaha’s biggest giving day! During the 24 hours of giving, Omaha Gives! raises millions of dollars for the community and over 900 participating non-profits. The Omaha Community Foundation has brought this outstanding opportunity to the metro for six years. This year’s donations will help us cover medical care needed for GRRIN foster dogs. In 2017, the average vet expenses for each of the 28 dogs we rescued was over $500. 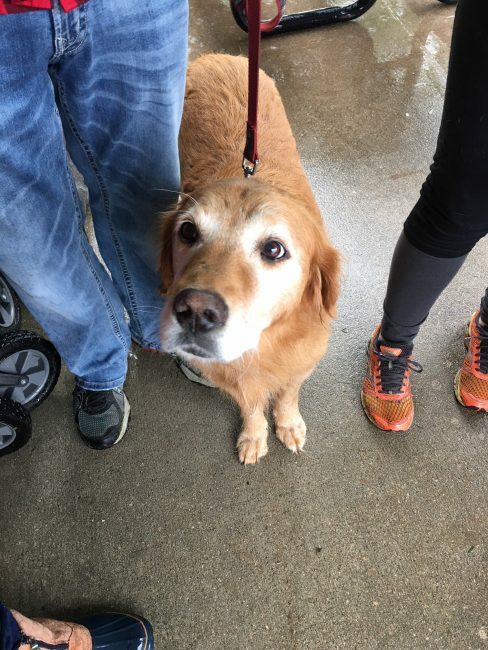 We were extremely grateful to have the resources to care for eight Golden oldies with loving foster homes and the ability to pay for all of their medical expenses so they can live comfortably. As of May 1, you can schedule your donation for Omaha Gives! 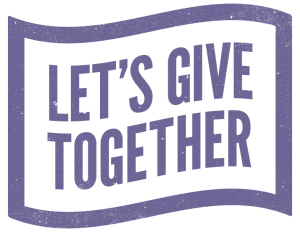 Just click here to go directly to our Omaha Gives donation page. Or, make your donation on Wednesday the 23rd. The giving begins at midnight with a minimum $10 donation and hourly drawings and prizes make your donations go further. So start gathering your circles and get ready for another great big give-together! Follow all of the action for Omaha’s 6th day of giving on May 23rd on our Facebook and Twitter pages. Make sure to come celebrate on the 23rd with our volunteers and supporters at Pizza West in La Vista from 5-8pm. 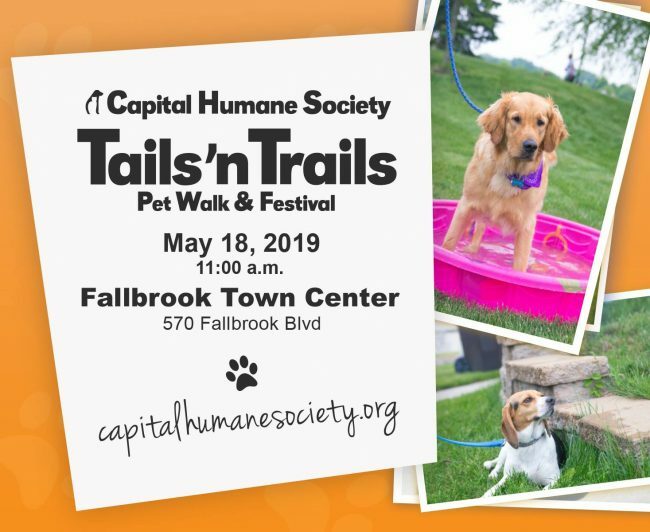 We’ll be on the patio and friendly pups are invited! 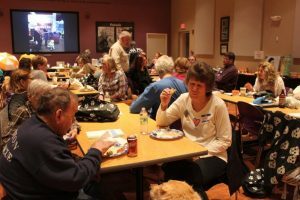 Annual Meeting & Volunteer Luncheon! Thanks for coming! 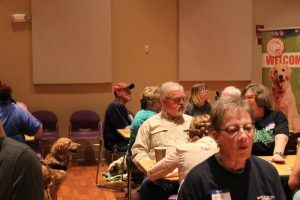 Oh my dog, over 40 friends of GRRIN joined us with their favorite Golden Retrievers for an awesome lunch and informative meeting. Board members were voted in, our finances are healthy (translation: we can do great things for foster dogs! ), and our rescue process is running smoothly. One of the challenges we are facing this year is that GRRIN is not getting calls from people who need help re-homing their dogs. 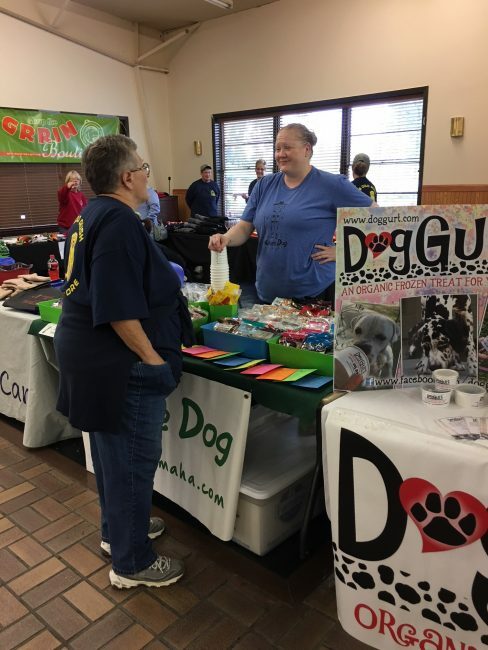 The board has worked tirelessly to get our group’s mission out to the public, but sometimes word of mouth is the best way to share GRRIN’s 26-year devotion to helping dogs in need. 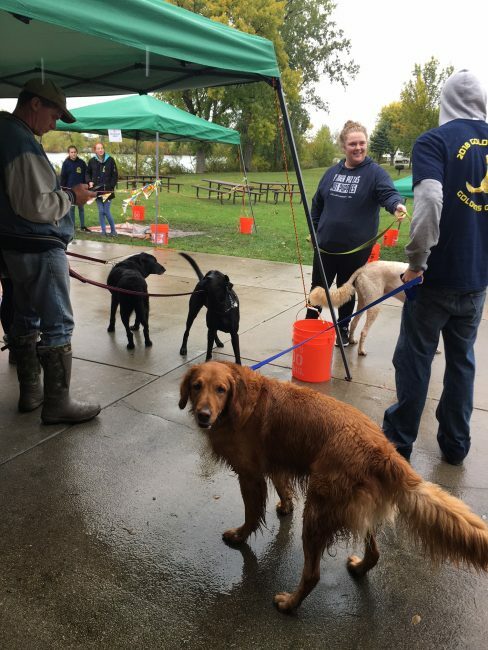 Please let others know about our mission to find dogs permanent new homes, whether it’s talking to your work buddies and neighbors or mentioning GRRIN on Facebook or Twitter (@GRRINebraska). If you know someone that needs help, they can send an email to info@grrin.org or call 402-330-6680. The other topic of business was planning for our annual celebration, Gold Rush. 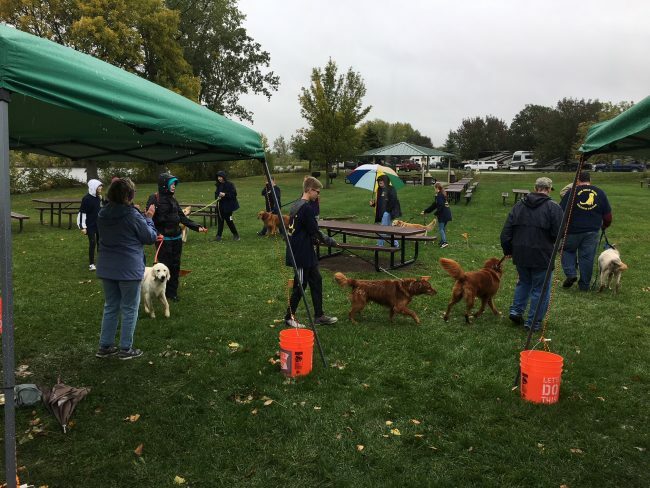 This year’s event takes place on Sunday, October 7th, at the Offutt Base Lake Park. Please send an email to volunteer@grrin.org if you’d like to offer ideas, volunteer or make a donation. Keep an eye on our website calendar so you don’t miss a single gathering in 2018. 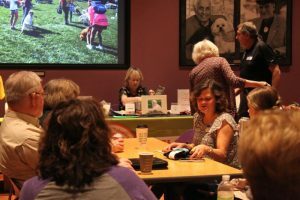 We don’t always have foster dogs at meet and greets, but we welcome the opportunity to chat with you and meet your favorite canine. Thank you again for supporting GRRIN year-round – we couldn’t do it without you! 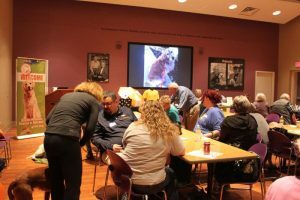 Woo-hoo (that’s “woof woof” if you’re a canine) – our annual meeting is rolling around! Join GRRIN as we celebrate a great year in rescue! Lunch provided by GRRIN – yum, it’s Mangia Italiana! 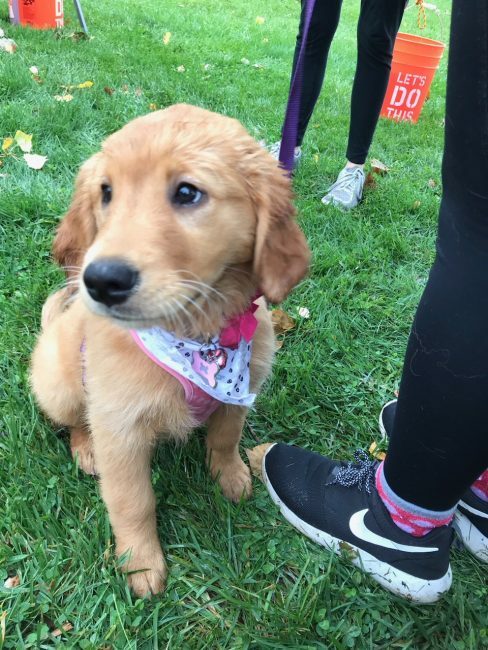 Family and friendly dogs welcome! 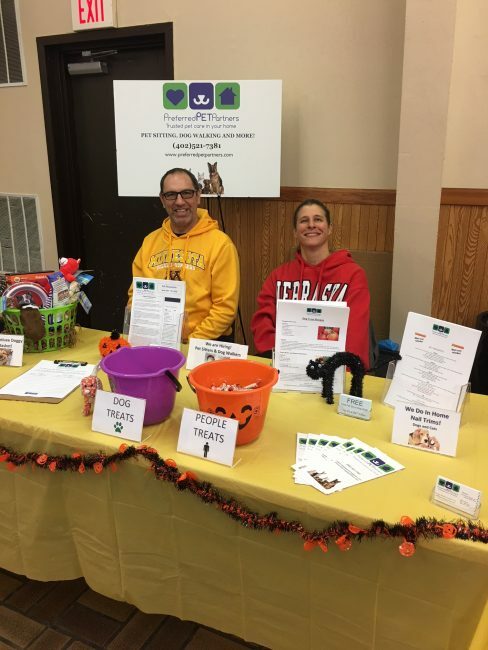 Treats for attending dogs donated by Woof & Whiskers! 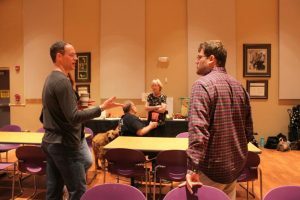 If you’re a volunteer, you deserve a free lunch and a big thank you from our hosting board members. 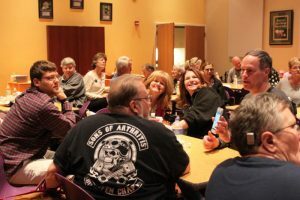 If you just want to hang out as a friend of GRRIN, we’d love to have you (we won’t pressure you to sign up for anything). Please RSVP if you would like to attend by sending a quick email to volunteer@grrin.org. 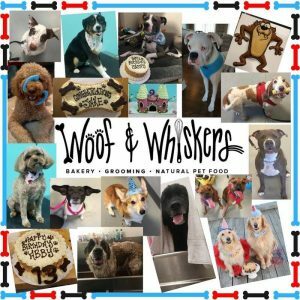 Thank you, Woof & Whiskers! GRRIN dog Rocky wins award! 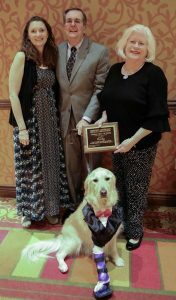 Congratulations to Rocky and his fur-parents, Jim and Mary Jane Fitch, who just received the 2018 Nebraska Veterinary Medicine Association’s Animal Hall of Fame award in January! Even more exciting, they visited the State Capitol where Lt. Governor Mike Foley presented a proclamation from Governor Pete Ricketts highlighting March 5, 2018 as Animal Hall of Fame Recognition Day in Nebraska. Rocky, born with a deformed front paw, was adopted by Jim and Mary Jane in 2014. 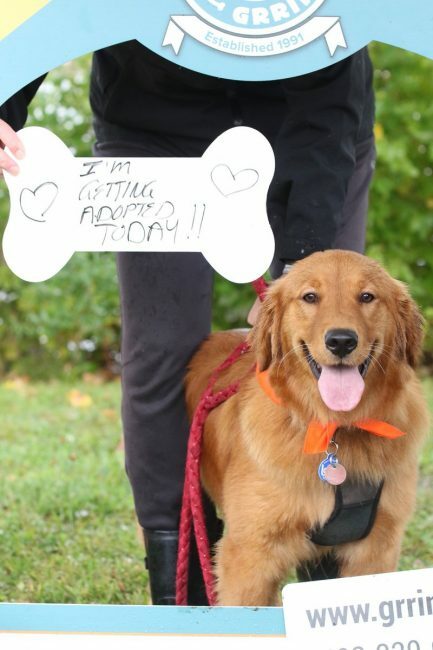 After an incredible journey to get a prosthetic device for Rocky, they had him certified as an Angel Dog at Madonna Rehabilitation Hospital, where he provides comfort and joy to many patients. Are you proficient using Adobe’s InDesign program? 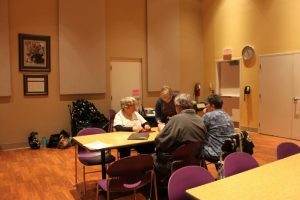 GRRIN is looking for a volunteer that can produce four newsletters per year. Our communications chair supplies most of the content and another volunteer is responsible for putting them in the mail. The previous editor estimates it takes about 12 hours to complete each newsletter. If you’d like to learn more about working with GRRIN, please send an email to newsletter@grrin.org!